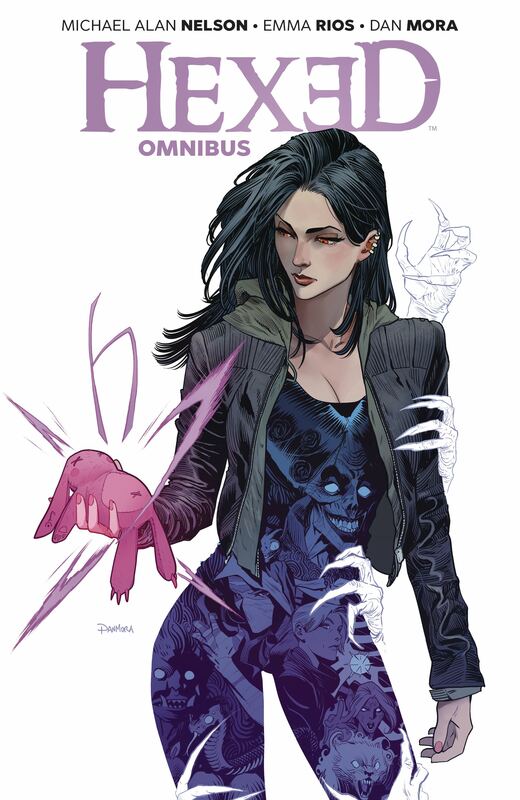 Luci Jennifer Inacio Das Neves (most people just call her (Lucifer ) is a supernatural thief for hire, stealing wondrous objects from the dark denizens of the netherworld for her mentor/mother figure, Val Brisendine. From possessed teddy bears to haunted paintings to ancient otherworldly demons, Lucifer will need to use every trick up her sleeve to protect her surrogate family and combat the monsters of her seedy city. Written by lauded horror author Michael Alan Nelson ( Day Men, 28 Days Later ), Hexed is a lyrical horror adventure series featuring the debut American comics work by superstar illustrators Emma Rios ( Pretty Deadly ) and Dan Mora ( Buffy the Vampire Slayer). Collects all 16 issues of the original Hexed limited series and its sequel series Hexed: The Harlot and the Thief.